Northern Europe is blessed with over 16 countries and dozens of unique ports of call. Therefore it is hard to make a selection. However, we feel the list underneath is the absolute top 10 of Northern Europe! Feel free to add yours in the comments. At the end of one of the largest fjords in the world you will find Flam. 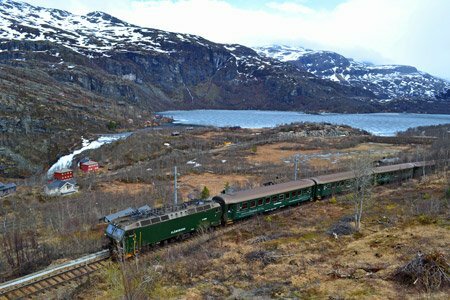 This tiny fjord village is famous for 3 things: fjords, scenery and the train. After sailing for about 8 hours time / 127 mile on the largest fjord in Europe you will arrive in one of the smallest towns of Norway. Along the way you’d better have your cameras ready, because the scenery will be amazing. Imagine thousands of years ago one of the strongest forces in nature created a valley of that size. But fjords are not the only reason the ship visits Flam. The Flamsbana train journey is considered one of the best train rides in the world. This city must be the best motivation for people to book a cruise to the Baltic: to have to opportunity to explore mystic Russia. St. Petersburg has a certain allure to it. Built in the 18th century as the gateway to Russia this city quickly became the most powerful in the entire country. 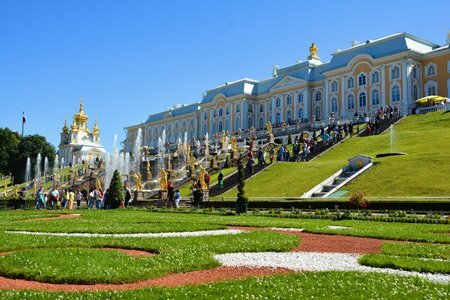 The wealth of the Russian Tsars and nobility is still visible in all of its 400 palaces. 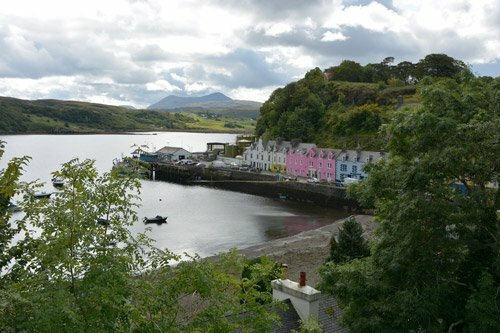 This small tender port on the Isle of Skye is real treat. Arrive at the colourful street of Scottish houses where you get to indulged the local bars and fish and chips joints. As soon as you go further afield you will learn this island has mysterious castles, dramatic scenery and an abundance in wildlife. Learn about the birds of prey, the migrating whales or the royals and their castle of back in the day. It’s absolutely perfect because you get to for scenic hikes, takes the local bus to the castle or stop at one of the many boutiques in town. 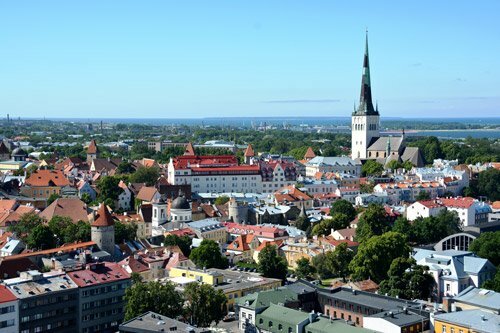 Tallinn is on the list because we feel this is the port of call in Northern Europe with the most spectacular old town. The well preserved medieval houses tell the story of a European super power about 500 years ago when the Hanseatic League was the most powerful trading alliance of Northern Europe, dominating trade in the Baltic. The lower town is a reminder of times gone by, whereas the upper town is telling a much more recent story. Although the Hermann tower might have been one of the centres of Northern Europe superpowers trying to overthrow one another at a game of European Super Chess, but it even played a roll during the last occupation of Estonia by the Sovjet Union. Wander the narrow, cobbled stones streets of Tallinn and get an impression of this amazing culture and history. The most tolerant, yet intolerant people in the world live in the city of tulips, canal houses and marihuana. Amsterdam is a city that is so different from the rest of the world, not because they are trying to be, but because they simply are. 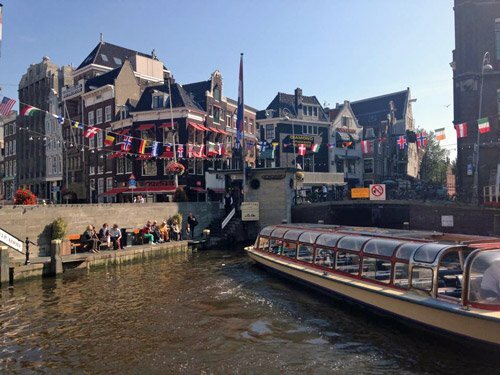 It’s people and equally iconic canals is what makes any visit to Amsterdam one to remember. Gotland is the biggest island of the Baltic. 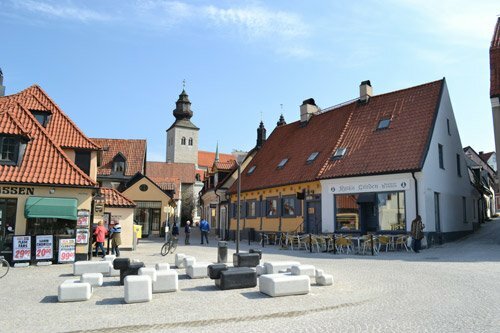 The largest city is Visby. What today is a small village charmed by its medieval ruins and quite street used to be the power house of the Baltic. It was the centre of trade on a scale that was never seen before. It would rule the trade Russia all the way to the United Kingdom. With great power comes great risk and when the town was destroyed into ruins it never thrived again. However, today we find a beautiful town proudly showing its history and culture. 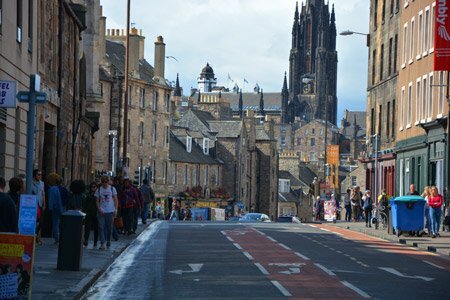 Did you know Edinburgh is one of the most complicated old towns in Europe. It is basically a layered cake of centuries. With every layer you peel off the city centre you will be introduced to a new era. That makes it an absolute picture perfect city. 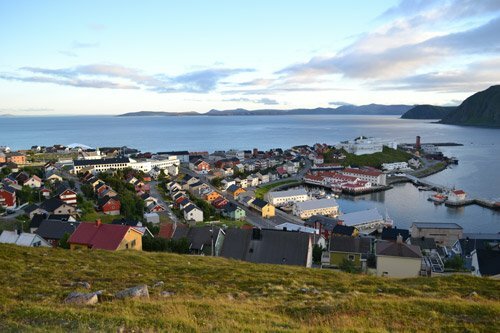 Honningsvag is in the most Northern Point of mainland Europe. Not everybody will agree on this being the best port of call in Northern Europe and this is probably because you either didn’t bring the proper clothing or you went to the North Cape. A visit to the North Cape is the most popular thing to do from Honningsvag. It is without doubt a special thing to experience, but let’s face it: It’s just a statue on the rock. But think about the area that it is in: it lies are 72 degrees north of the equator (that even further north than the most northernly point of Alaska). These barren landscapes experiences one of the toughest climates in the world and in summer the sun will not set for 2,5 months. It is a world turned upside down compared from how we know it. Perhaps the best way to enjoy a destination like this is to go bird watching, go out on the trikes or go for a hike. Anything that will make you stand eye to eye with the barren landscape in the most Northern Point of Europe. 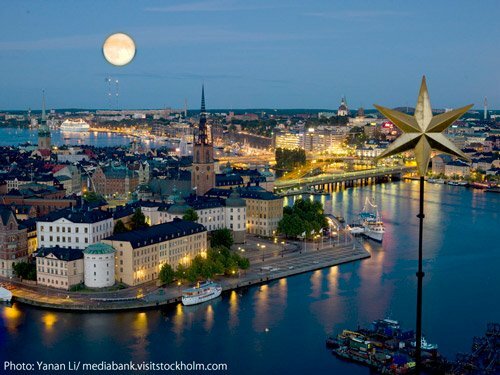 Stockholm is a city that has got its act together. It must be one of the most well oiled machines in the world. Its economy, people and culture could be an example for the rest of Europe. Stockholm has without doubt the most scenic sailin in the Baltic. The ship will need to navigate around 24.000 islands before it reaches the city of Stockholm. This archipelago is a treat for the eye. See thousands of island come by while you are enjoying the deckchair. 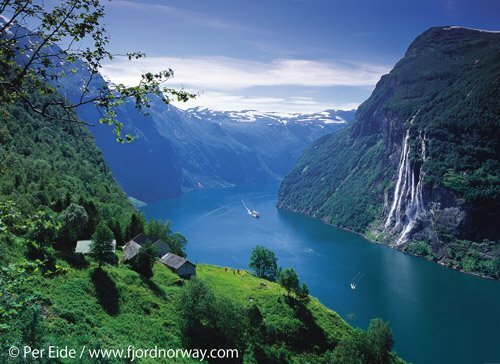 Geiranger would easily make the top 10 cruise ports in the world list. This is without the most scenic port of call on this list. Imagine your ship will sail through the famous Geiranger fjord and will sail to a small town that looks like a scene for the movie Frozen. Well guess what: Geiranger was the inspiration for the Arendal in Disney’s Frozen. Sheer waterfalls, vertical walls of rock and snowcapped mountains all around you. What on earth could be better than that.